My first subscription post this week is something very fishy indeed. It’s a box full of food items to make fishy recipes. If you go to Fish for Thought then you’ll get the whole idea of it. It’s similar to other food boxes but themed around fish dishes. The boxes come delivered by courier on arranged days with the fish and other fresh ingredients packed with ice. 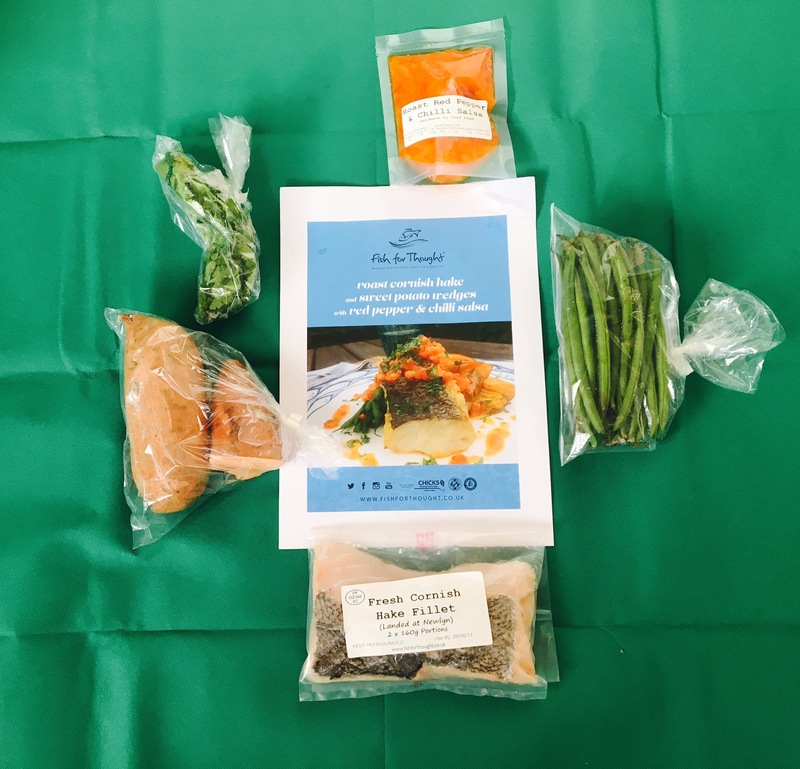 Box choices are 2-4 meals per box for 2-6 people and subscription frequency being weekly, fortnightly, monthly or every 2 months. These are the typical ingredients per meal. It is usually fresh fish, vegetables, herbs and a sauce of some sort. I had two recipes in my box and this one was roast Cornish hake with sweet potato wedges, red pepper and chilli salsa plus green beans. Even if you are not used to cooking with fish or have not cooked a fresh fish dish before, then no need to worry much because these recipes are really easy and don’t seem to take long either. There are nine recipes this week all of which can be viewed on the subscription page. All with different types of fish and seafood. 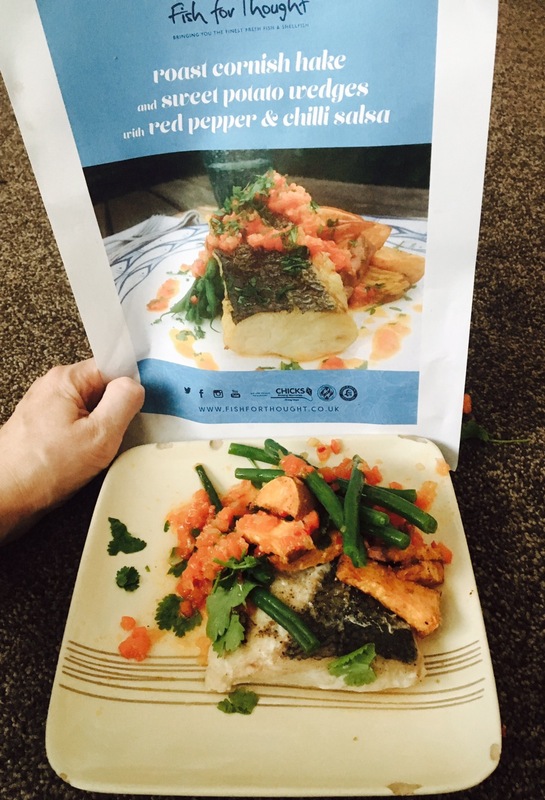 This is my finished hake dish along with the back of the recipe card showing what it’s meant to look like. I think I did a pretty good job with it. The boxes start from £32.00 for a 2 person box with 2 recipes and all ingredients which works out £8.00 per meal. It certainly makes a nice fishy healthier treat for tea time.